Wh en I get into a hole while writing, to clear my head and let things sort themselves out, which they usually do, I download an e-book to review. Saying it like that, the process sounds simple, but selecting a book is fraught with apprehension and hopeful expectation. Bombarded with flashy covers and eye-catching blurbs, sometimes not so, I look for a book that will entertain and transport me into the author’s world, but more often than not, I walk away disappointed. Regardless of genre, I skip over a potential book because so many authors fail to write a good blurb. Some write about their prowess, great reviews the book received elsewhere, or just give you a link to Amazon. I always smile at that one while skipping to the next in the list. Then there are blurbs with spelling and grammar mistakes, and clumsy sentences; a sure way to switch me off no matter how good the book might be. Still, I sometimes overlook these things if the outline promises a reasonable read. The idea is to be objective and impartial, giving the book a chance to surprise me. Although a nice cover might sway me, I always make my decision to review something based on the blurb. Having downloaded the thing, I make myself comfortable and open page one. They say first impressions are always important, and reviewing a book, I found this to be true. Looking at the first page immediately tells me things. Some e-books, designed for reading on tablet devices, will have a specific format and will not look like a professionally printed book, and I make allowances for that. Sadly, for non-tablet versions, most e-book publishers don’t bother formatting their books to look like something you pick up at a bookstore, and even POD editions are often copies of the e-book format. But if a book is self-published, there is no excuse for the author not to format it properly. When I see something that looks like a real book, I am gratified, prepared to enjoy page two. It doesn’t take me long to get the flavor of the author’s writing. Usually the first paragraph will tell me if I am dealing with a serious author or someone who is still mastering the craft. As a reviewer, I note everything about a book: technical things like grammar and sentence construction, use of narrative (telling rather than showing), inconsistent paragraph formatting, dialogue, characterization, point of view shifting, and of course, plot development. I must say something about POV shifting. It is a useful technique and I used it myself extensively, although some puritan editors frown on it. Applied sparingly, it is a legitimate writing tool that can enrich a book. An immediate sign that I am in the hands of an amateur is when the first page starts off as a synopsis, the author flooding the reader with background information in an attempt to set the scene for the book. Although required, this data should be dribbled out through events and dialogue. Talking about dialogue, I cringe when I read something stiff and unnatural, not at all how people talk, especially when the solution is so easy to apply. The author simply needs to read his dialogue aloud – which applies to the entire manuscript – to spot problems. The other thing that makes my shoulders droop is two-dimensional characters, or stereotypes taken out of popular movies. Clumsy clichés that should have been buried long ago is another example of a beginner’s effort, as are totally unbelievable story premises or flawed science that stray badly from reality. At this point, my thoughts begin to stray toward that bottle of bourbon. Sometimes, having read twenty pages, I give up, not wanting to waste any more of my time. That’s when I reach for that bottle, shake my head, and write my review. 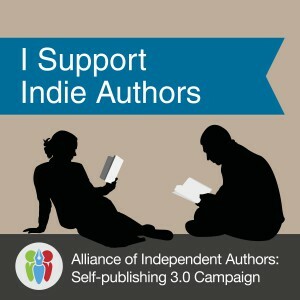 Every writer yearns to see himself published, but there are rules! One of them is having the work professionally edited. So much angst could be saved for everyone by following this rule. Of course, self-publishing opportunities enables budding writers to splash their work on unsuspecting readers without following the rules. Even if the author has done all the right things, if the story itself is badly flawed, nothing can help it. To be fair, some stuff available in the bookstores also makes me wonder how it got published, but that’s another story. Occasionally, fishing in the sea of mediocrity, I pull out a pearl, which makes it all worth while. Sipping my bourbon with such a book is a pleasure, not an anesthetic. Writing the actual review can be tricky. It is a fine balance between making critical observations, sometimes having to be harsh while providing encouragement. I don’t always like what I read, not agreeing with the author, but that’s where objectiveness and impartially kicks in. A well-written book will always score high with me, regardless of any personal bias. ~~~~~~~~~~~~~~Stefan Vucak is an award-winning author of the sci-fi Shadow Gods series of books. His contemporary political thriller Cry of Eagles has won the coveted 2011 Readers’ Favorite silver medal award, and his All the Evils was the 2013 prestigious Eric Hoffer contest finalist and Readers’ Favorite silver medal winner. His Strike for Honor won a gold medal. Do you think book reviewers are driven to drink? As a writer, do you contribute to a reviewer’s problems? Feedback is always appreciated. Next Post What’s the 411 on The Fussy Librarian? I am in the midst of publishing my first book and I must say that this article was a big help. Being totally ignorant of the publishing process, I sought help. 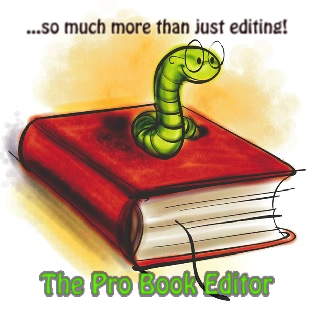 When I learned the cost of editing, I almost fainted (almost) and then was tempted to put my 90,000 word manuscript on hold. However my son (bless his heart) reminded me that writing had been my life’s ambition and that if I spent thousands on him and other people, now was the time to invest in myself. My publisher also encouraged me to get my work professionally done if I wanted it to be done right. Your article confirmed this for me. As writers, we hate the notion that someone else might have a better idea how to approach our craft than we ourselves do. However, that is nothing more than being possessive about our work – a very natural reaction. 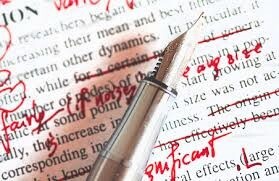 Nevertheless, having your manuscript professionally edited before submitting for publication is invaluable not only to ensure reduction in those inevitable mistakes, but it also helps us to strengthen our own editing skills.